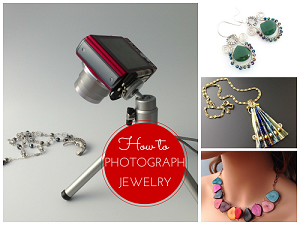 Remember the wonderful book on how to make rings in 30 minutes? Well there are 3 more in the series. 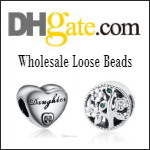 If you are like me you'll probably love the earrings one. 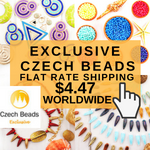 I enjoy making earrings a great deal because they are fast to make and don't cost a lot in terms of materials. 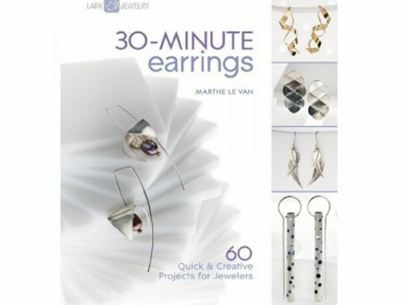 The book, 30-Minute Earrings features 60 designs which used a variety of techniques and materials to create some of the most innovative styles. There is a bias towards wire and metal work due to the time factor. The book format shows pictures of the completed projects with written instructions. 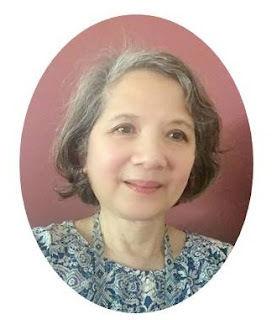 There are no step-by-step pictures unlike other books. Shown here are some of my favorites. 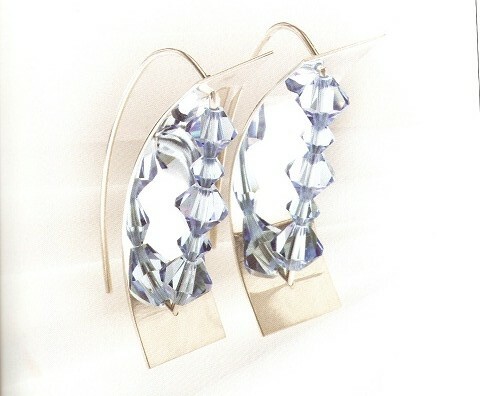 The earrings by Ann L. Lumsden doubles up on sparkles because the reflections. The techniques required for this design are sawing, filing, sanding, polishing, drilling, bending and wire work. 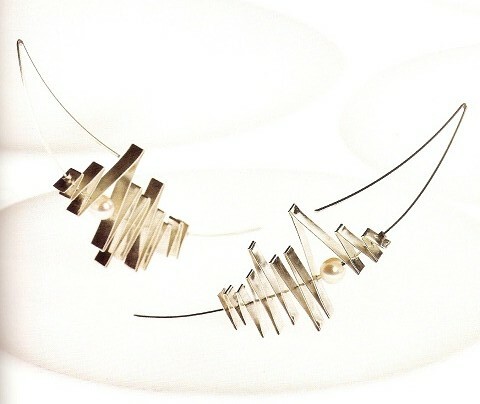 I also liked the clever way in which Ellen Gerritse folded sterling silver stripes for her contemporary earrings. 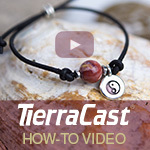 The designer made soldering optional so the techniques needed are sanding, polishing, drilling and wire work. The book also had a selection of earrings made from unusual materials. Laura Itkonen's ingenious use of VHS videotape (remember those?) resulted in this fun eco earrings. 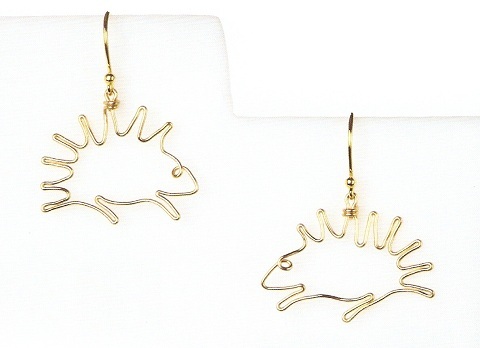 Whimsical designs were also covered as seen with this cute wire hedgehog earrings by Karen Rakoski. 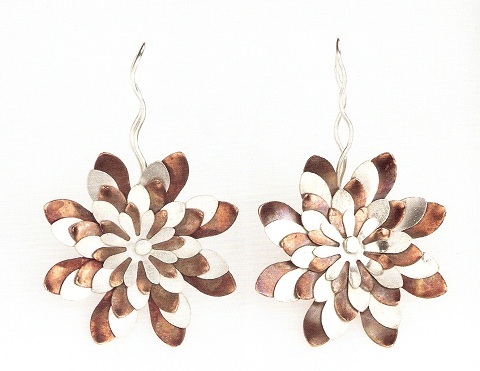 Having used paper punches before on thin metal ( see How to Make Riveted Recycled Soda Can Earrings) I was intrigued by Lisa Cain's use of said punches on both ordinary copper sheets and metal clay sheets. Neat! 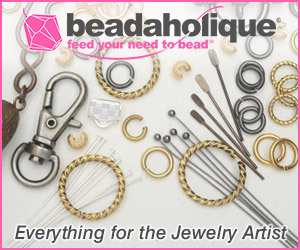 There is one free tutorial by Brenda Schweder for a simple fun circle earrings. 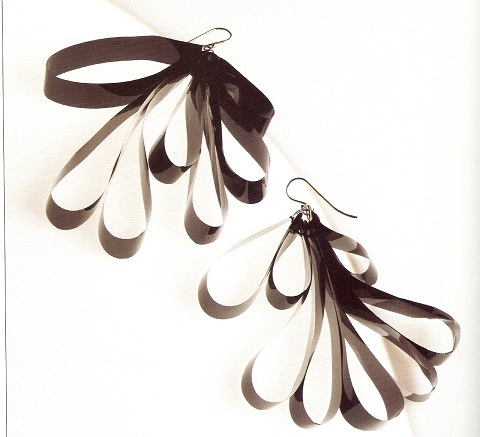 One thing the book showed was that earring designs can be so much more than just simple dangles. Great book and great review!